* Searching an article ? * You want to contacting us ? * Kontaktaufnahme mit uns ? * Ha bisogno di contattarci ? Should you have any questions please don't hesitate to contacting us in either of these languages! 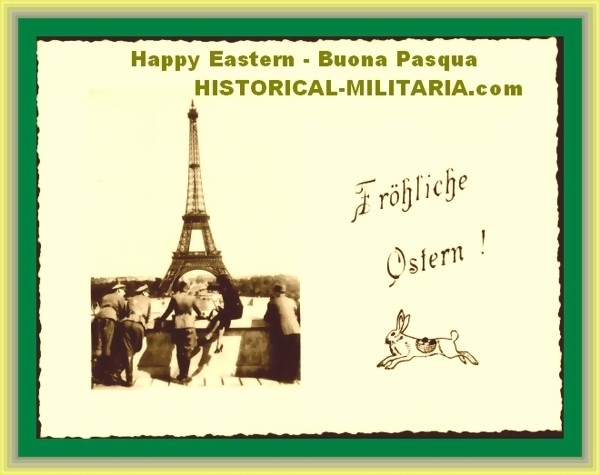 Historical-Militaria.com does not support or represent any organization that promotes hatred or racism. We are not affiliated with/or do embrace the philosophies of any radical, political, or racist organizations. All our articles are sold for collectors, re-enactors, historical organizations and theatrical or film purposes only. With utmost respect to legal restrictions in certain European countries some photos of German WW2 symbols are being retouched. All our items offered are sold for purely historical collectable reasons and we are asking you to please read and accept our terms & conditions. Legal situations in European countries might differ regarding articles of WW2 and especially regarding Third Reich articles. Our customers and visitors of both our identical websites www.historical-militaria.com or www.historical-militaria-shop.com are only admitted under the condition that they purchase the offered historical and military items, especially those from NS period, only for: educational purposes, protection against illegal and subversive aims, for scientific and art historical research, the education and reporting regarding historical events, or military history and uniform research. Historical-Militaria.com and Historical-Miitaria-Shop.com is offering theses items only under these conditions! With the purchase of items which carry Third Reich emblem's or carry emblem's of other important political organization’s of that time, the buyer commits to using these items only for historical scientific reasons as mentioned above and will by no means use them for propaganda purposes which might be illegal in local countries. Such a use would be liable to prosecution according to local law and all potential vendors and purchasers of such items confirm that they have no intensions whatsoever to commit a punishable offence according to those local laws. Historical-Militaria.com supports under NO circumstances any right wing political views and ideas! TOP or NEW Products !